This is what happens, when the Kiwi’s took one of Airflo's excellent Super-DRI lines and made it their own. This two tone olive fly line has the first 12’ of Camo bands to help break up the line profile through both air and on the water for ultra stealthy presentations. The long rear taper makes the line stable even on the longest of cast to ultra technical fish. 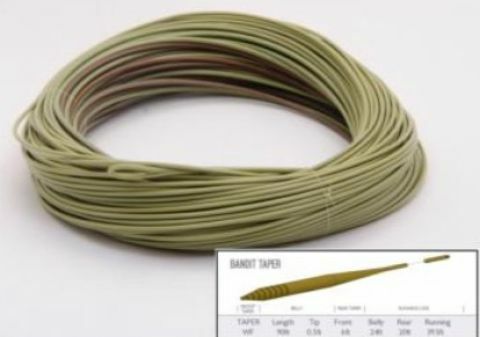 Two tone olive fly line has the first 12’ of Camo bands to help break up the line profile. Long rear taper for stability. 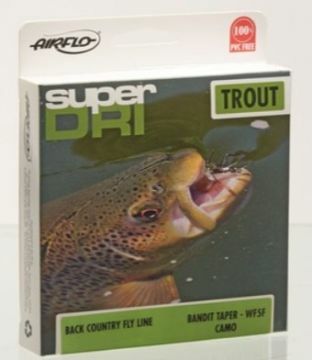 Super-Dri technology repels dirt and almost eliminates friction adding distance & extreme floatation to every cast. Patented Ridge design to lessen friction in the guides. Low stretch Power core to improve casting efficiency & hook set. Micro loops make leader changing a breeze.